The first golf major of the year is underway at Augusta National Golf Club and what goes great with golf? Rolex watches of course. Although three-time Masters winner Phil Mickelson is one of the few pro golfers that wears his watch while playing—typically a Rolex Cellini—other players prefer to wear their watches while off the course. 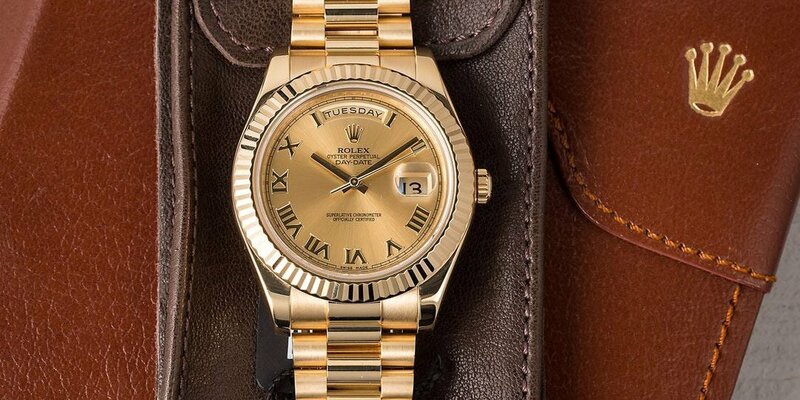 Which Rolex watches we will likely see at The Masters Tournament this year during post-game interviews, at the clubhouse, at the trophy ceremony, and among the patrons? Here are our predictions. Tiger Woods is known to enjoy the 44mm deepsea for his enthusiasm for diving. Although the Rolex Deepsea is a mega dive watch, we’re almost certain we’ll see a few around the golf course during The Masters weekend. Tiger Woods, Jason Day, and Adam Scott are often spotted with the large stainless steel 44mm Deepsea ref. 116660 strapped to their wrists via the steel Oyster bracelet and all three golfers have opted for the black dial version. In fact, Adam Scott had his Deepsea on when he put on his winning green jacket in 2013. Aside from the watch’s obvious thickness, another trait that differentiates the Deepsea from other Rolex sports watches fitted a date window is the lack of a Cyclops lens on the crystal. A Steel Daytona 116520 is another watch that has a lot of rep and it is worn by golf legends. 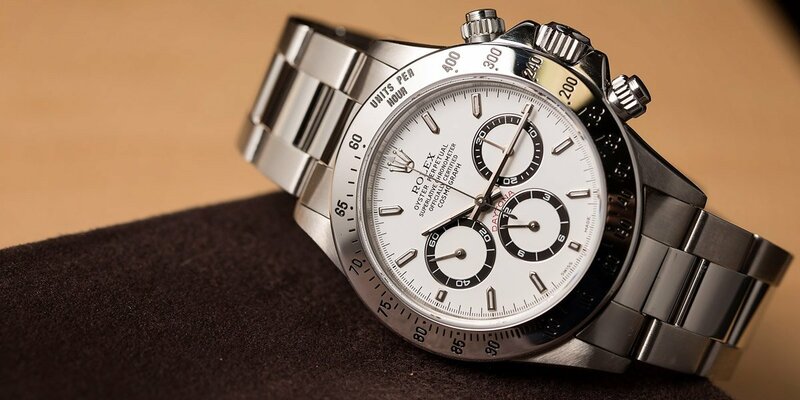 Another favorite Rolex watch of pro golfers, the Rolex Daytona will definitely show up at the Masters Tournament. For instance, Rickie Fowler alternates between his platinum Daytona ref. 116506 with the glacier blue dial and brown Cerachrom ceramic bezel and his newer stainless steel Daytona ref. 116500LN with a white “Panda” dial and black ceramic bezel. On the other hand, we’ve spotted Justin Thomas wearing the steel Daytona ref. 116520 with a black dial, while Thomas Pieters has been known to rock the Daytona ref. 116518LN with a yellow gold case and black Oysterflex bracelet. A two-tone Submariner is a watch that gets a lot of eyes for its magnificent blue hues and two-tone color scheme. 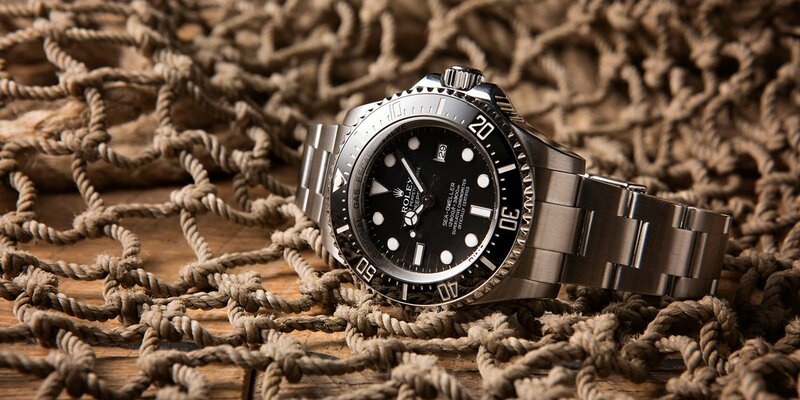 Yet another Rolex dive watch, the Submariner will no doubt be present at The Masters—both on players and patrons. In fact, as Rolex’s most famous sports watch, it’s rare to go to any large prestigious event and not see a few in the crowd. 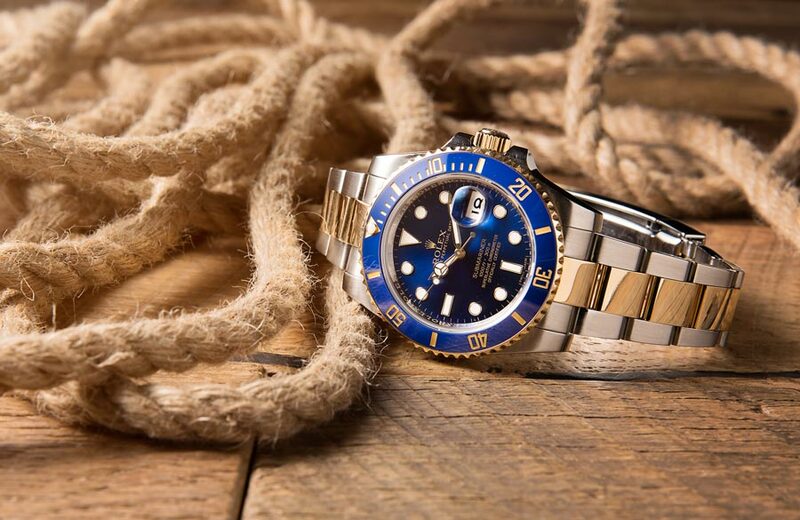 Plus, Rolex offers up a wide range of Submariner watches in an assortment of metals and colors, so we’re bound to see a couple of different ones. Case in point, golfer Hideki Matsuyama sports a two-tone Submariner ref. 116613 with a blue dial and blue bezel on the 40mm Oyster case, while Rickie Fowler’s caddy, Joseph Skovron, wears a steel No-Date Submariner. Even the new Augusta National Chairman, Fred Ridley wears a steel Rolex Submariner. What are your thoughts on all these watches? Since The Masters is considered the most prestigious golf tournament on the calendar, it’s unsurprising that Rolex’s most prestigious watch, the Day-Date President, will also be there. A favorite Rolex of legends Jack Nicklaus and Tom Watson, (both of whom participate in Masters’ activities leading up to the main tournament) each of these golf giants is often seen wearing their yellow gold Day-Date watches. But aside from players, the Rolex Day-Date watches will certainly be found on many of the patrons on the grounds during the tournament. The Masters tournament will conclude on Sunday afternoon and we look forward to watching some epic golf being played by the sport’s best players over the next few days. Who do you think will win the 2018 Masters tournament? Tell us your predictions in the comments section below!